Theresa Hannon Financial Services is a successful financial services firm. Assets under management have increased dramatically because of her reputation. Many of the clients being served were older. Her goal was to expand and build the business for the next generation. Many of her current clients were older. Theresa wanted to develop more clientele in the 25 to 50 year old demographic. In order to appeal to a younger demographic we needed to modernize the logo to be more contemporary. In order to show expansion a name change was also decided upon with the name changing to The Hannon Financial Group. Based upon the additional direction, and specific groups being targeted all collateral, video and social media sites needed to be updated. While younger people use social media, these options will not generate a lot of new business. New business is generated largely because of the trust factor which is created by word of mouth, as well as personalized presentations. While social media should be current and reflect your goal of giving back, there are industry limitations regarding marketing. It is also apparent that reaching out to people based upon a classification such as millennial is not as important as the age group and addressing the issues face during the decades of life. Some issues are historically the same, but others have changed depending on occupation, life expectations and age of parents. 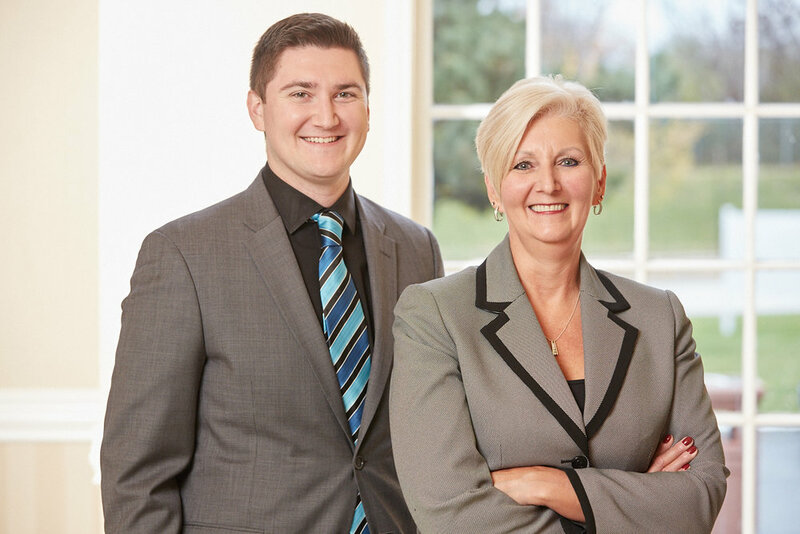 The Hannon Financial Group has a voice and a brand to move its business forward. A new corporate identity proclaims THFG’s stature and leadership by building on the company’s ability to help people plan for their financial needs. Clear, motivating brand stories have been developed to communicate with current and potential clients through a brand video, marketing collateral and the company website. The new entryway lifestyle collage connects visually with people as they walk in.